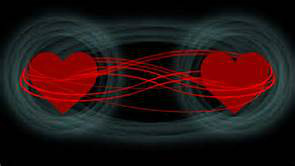 Are you in a relationship or an entanglement? In a relationship, neither person needs the other to "complete" them. Both people are awake to themselves, their feelings and thoughts, and are open to the flow of love and attention with one another. It's about two equals celebrating together rather than "needing" something from the other. In short, a relationship like this is one where both people are in harmony. And that's exactly what it feels like: in tune, relaxed, and just plain fun. Entanglements, on the other hand, can look the part but feel very different. You might spend a lot of time together, live together, met each other's friends and family, and people refer to you as a "couple." You might even be married. But you're not having a real relationship - at least not one that is characterized by love and harmony. When you find yourself having the same old argument with your partner for the umpteenth time, that's a pretty good sign you're likely in an entanglement. If you had the same problem in your previous relationships or keep picking partners with similar issues, that's a tip-off, too. Patterns that repeat, especially from relationship to relationship, indicate that you have unresolved feelings from the past, creating a destructive dynamic that keeps you from enjoying harmony. One of the clearest signs of entanglement is that it is hard for one person to let the other person feel his or her feelings and tell the truth about them. Entanglements feel like you have to shut down a part of yourself. If you're feeling like your partner just doesn't get you, and that you're not free to say exactly what's on your mind, you know you're not in a real relationship. In a real relationship, each person is "awake" to his or her role in a problem, and the priority for both is relationship growth. Entanglements are characterized by power struggles. Both people are vying for the title of victim, thus making the other the perpetrator. Nobody ever wins. If you're feeling drained with your partner, you're likely caught up in an entanglement. In a harmonious relationship, both people take responsibility for any issues that arise, and they come up with creative solutions that further add to the positive feelings they share. What can you do if you are in an entanglement? If you have the terrible feeling that you're in an entanglement right now, or that you've been in entanglement, relax, it's completely normal. Most people have been in an entanglement, and a lot of them have been in many. We all come to relationships with unresolved issues from our past, and we naturally look to our partners to make us feel good about ourselves. And so it's always a surprise when we finally think we've found love, only to experience pain and frustration. The problem often isn't that we've chosen the wrong partner, it's that we're not looking at the root cause of our disenchantment. Knowing whether you're in a pattern of entanglement is key to resolving it once and for all. Otherwise, there's a "blind spot" that keeps you from moving forward, and you're doomed to keep repeating the pain and struggle. Once you know you're dealing with an entanglement, you can harness all that energy you've been spending on conflict, and instead, use it to come up with creative solutions. You can transform the entanglement into a real relationship, or you can end the entanglement with peace of mind, armed with the insight you need to create love and harmony in the future.